Research delivers a multitude of approaches to value creation, represented here as a set of definitions, perspectives, and interpretations of how tourists, as customers, create value alone and with others. 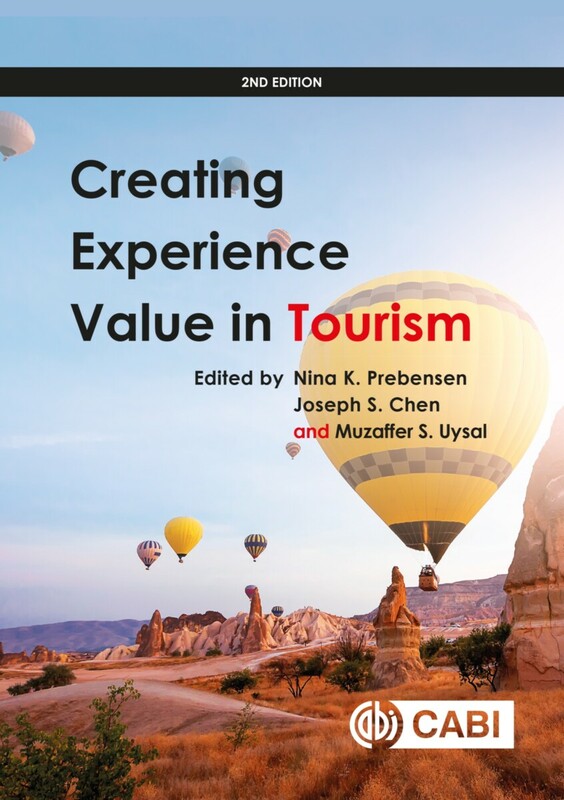 Now updated to include new studies, the second edition of Creating Experience Value in Tourism provides a clarification of these approaches as well as a practical translation as to how they can work within industry. - Considers consumer behavior and factors affecting value creation from both physiological and psychological perspectives. Concluding with a summary of the areas for future research, this is a key resource for researchers, particularly those interested in experience value and co-creation, as well as a useful read for students of tourism and related industries. 5. Oh Why, Oh Why, Oh Why Do People Travel Abroad? 14. Co-Creation Of Value And Social Media: How? Nina K. Prebensen is a Professor at Buskerud and Vestfold University College and at UiT The Arctic University of Norway. She has published papers in various tourism journals. Her research focuses particularly on the tourist decision and experience processes, where co-creation of value for hosts and guests are in focus. Her teaching experiences include marketing, tourism marketing and management, service quality and branding strategies. Prebensen has been part of 25 business boards, and has a long history in co-operating with the tourism industry. Joseph S. Chen is a faculty member of the Department of Recreation, Park and Tourism Studies at Indiana University at Bloomington. He has been identified by premier tourism/hospitality journals (Tourism Management and Journal of Hospitality and Tourism Research) as one of the leading tourism scholars worldwide. He has received international research awards and fellowships including US Fulbright Senior Scholar. Muzaffer S. Uysal is a professor and chair in the Department of Hospitality and Tourism Management-Isenberg School of Management at University of Massachusetts. He is a member of International Academy for the Study of Tourism, the Academy of Leisure Sciences, and serves as co-founder of Tourism Analysis: An Interdisciplinary Journal. In addition, he sits on the editorial boards of more than ten journals, including Journal of Travel Research and Annals of Tourism Research. He has authored and co-authored numerous articles, monographs, and several books related to tourism research methods, tourist service satisfaction, tourism and quality-of-life, experience value in tourism, tourism-related scales, and management science applications in tourism and hospitality. Dr. Uysal has received a number of awards for research, excellence in international education, teaching excellence, and best paper awards. His current research interests focus on tourism demand/supply interaction, tourism development, and quality-of-life research in tourism.